eTOX, an IMI-JU 1 funded project ended in December 2016. One major achievement of the eTOX project was the development of common ontologies. 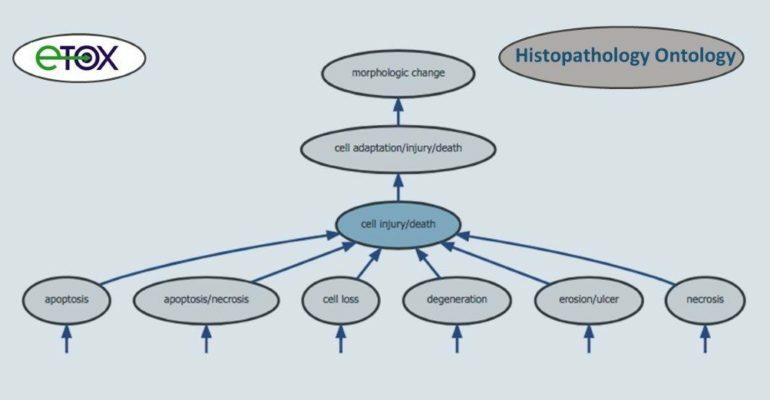 Histopathology Ontology, that allows mapping of the histological lesions in toxicological studies. This ontology complements the OntoBrowser tool, developed to manage ontologies and controlled terminologies. Both the Histopathology Ontology and the OntoBrowser have been developed by Novartis. Both tools would serve as an important legacy to be further used within eTRANSAFE, an IMI-2 project recently started.